Northbounders are definitely spoiled. There have been times when I’ve run into multiple trail magic in one day. If you’re not familiar with the term trail magic, it is when people show up to the trail, usually at a road crossing, with food and beverages for hikers. People go all out for this. I’ve seen hot dogs being served and coolers of soda and beer all for hikers. Last weekend Chaunce and I had and insane amount trail magic. It started off at Nancy’s. We were met a Davenport Gap by Pacer, a former AT hiker and Nancy’s hiking buddy. He drove us 45 minutes to Nancy’s house, where she had gotten pizzas and made a huge salad for all to share. 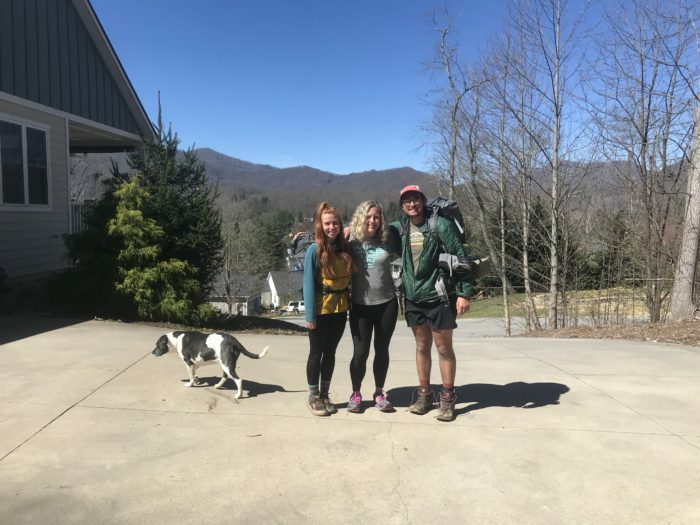 Nancy reaches out to a few lucky hikers every year, giving them the opportunity to regroup for a night after being in the Smokies. Her husband, Larry, and their family opened up their home to us for a night and it was a blessing. We even got to bathe in their hot tub. Saturday morning we were dropped back off at Davenport Gap with the intention of pushing a 16.5-mile day. After a growling hike we were met by Nian, Chaunce’s friend from home. We met on top of Max Patch, where he had brought us an intense layout of barbecue. We had everything from brisket to potato salad to mac and cheese. We sat around a fire enjoying each other’s company as the stars appeared. We had a great night and it was fun to watch Chaunce catch up with and old friend. Sunday morning was one of the slower ones to say the least. After spending Friday at Nancy’s and Saturday filled with barbecue, we finally got moving around 11 a.m. We just started to turn the gears, but were stopped in our tracks by Fresh Ground and the Leapfrog Cafe. Fresh Ground is a legend on the AT. He has created a pop-up cafe where he makes anything from gooey grilled cheeses to homemade chicken noodle soup. It was a blast to finally meet him a and enjoy his delicious food. After getting into a food coma with Fresh Ground we pushed to Hot Springs, where we took the second zero on trail. Thanks to everyone for the trail magic thus far, even if it is just an encouraging text; everything is greatly appreciated. Very nice commentary on your journey. Continue to enjoy! 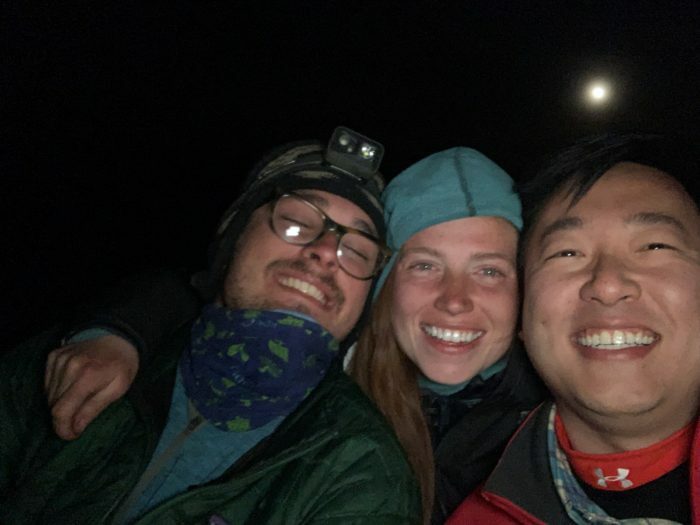 It’s great to hear about your trail adventures! We’re keeping up with you and wishing you all the best, and looking forward to catching up! Met Fresh Ground last year in GA, Gooch Gap. What a great guy! You are so lucky. Hope good fortune and trail magic are constant companions to Baxter.